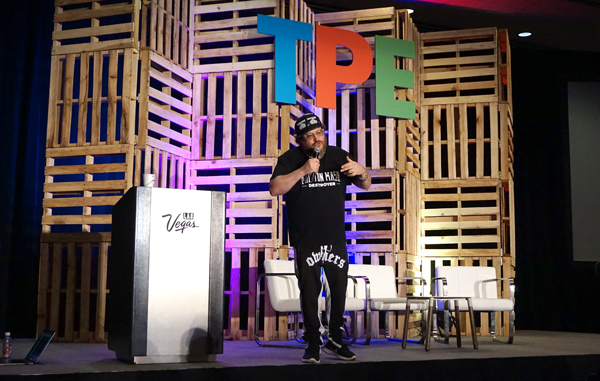 With a shift in focus to experience, Tobacco Plus Expo (TPE) 2018 offered attendees valuable educational, networking, buying and selling opportunities in Las Vegas on Jan. 31-Feb. 1, 2018. 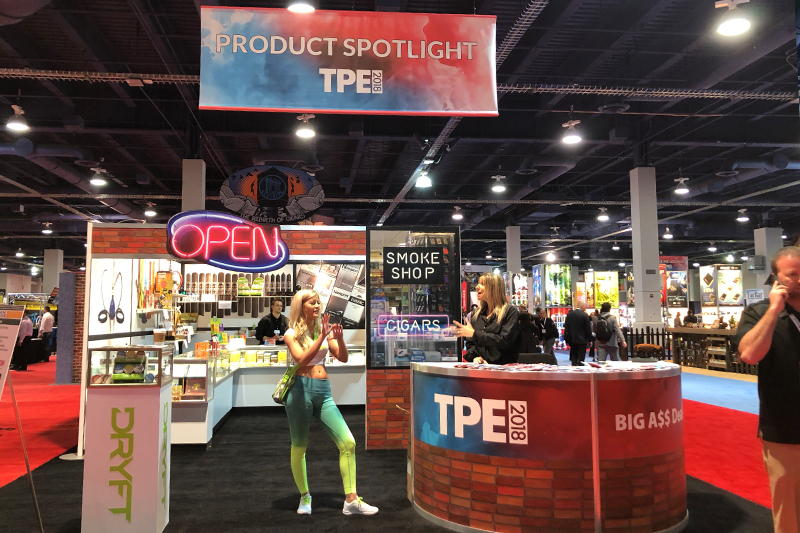 This year’s Tobacco Plus Expo (TPE) brought many welcomed changes to the established trade show, from an expanded show floor to informative and valuable educational seminars led by some of the tobacco, vape and alternative industry’s leading companies and entrepreneurs. Held Jan. 21-Feb. 2, 2018 in Las Vegas (and preceded by a NATO Legislative Outlook day of educational sessions on Jan. 30), this year’s show had a renewed focus and mission–to give retailers and manufacturers alike with the information, tools and chances to succeed in the new year through knowledge, networking opportunities and an early selling and buying opportunity ahead of the often times busy and profitable spring season. “We wanted to offer attendees an earlier opportunity to make purchases for their stores and get the best education and information they would need to be profitable and successful in 2018,” said Ben Stimpson, Managing Director of Tobacco Media Group (TMG) and Tobacco Business Magazine, the companies partially responsible for putting on the B2B trade show each year alongside Kretek International. Many exhibitors, retailers, wholesalers and other attendees noticed the changes the moment they entered the exhibit floor in the South Hall of the Las Vegas Convention Center–and many were pleased with the changes. With the mantra, “A fun place to do serious business”, TMG and Kretek had a high bar to meet and by the close of the show on Thursday, appeared to either meet or exceed expectations in what will possibly go down as one of the most successful TPE shows to date. One of the aims of this year’s show was to offer some of the best educational sessions possible, touching on a range of topics from the U.S. Food and Drug Administration (FDA) ongoing regulation of tobacco and vapor products to how retailers and manufacturers working in different product categories could succeed in today’s competitive marketplace. Kicking off the educational sessions was a memorable keynote address delivered by Jonathan Drew, President and Founder of Drew Estate. 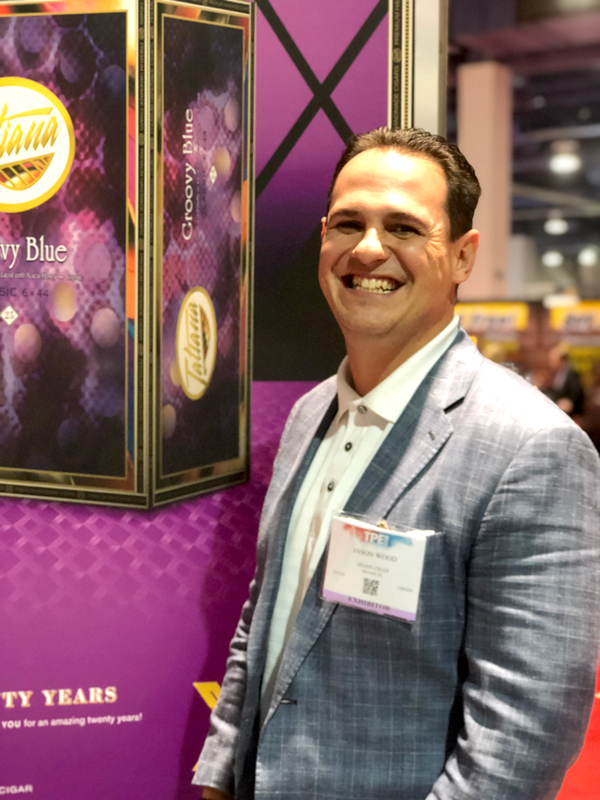 In his speech, Drew shared a personal account of the rise of Drew Estate, one of the juggernauts of the premium cigar industry, and shared advice on how other entrepreneurs in the industry could find their own success by segment stacking, creating experiences for customers, and building brands with loyal followings. Drew noted this was the first time he used power point but it was the valuable advice–that at times felt proprietary and something most brand owners would keep to themselves–that made his keynote engaging, personally triumphant and memorable. The educational sessions continued on the show floor throughout the two days of the show. 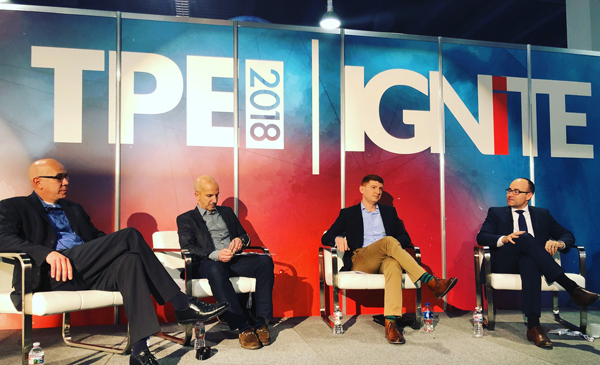 Bringing the educational sessions to the show floor, a change from previous years, offered attendees an easier way to attend each session while also not missing any of the action on the show floor. “Winning in a New Tobacco World” featured retailers Darren Collette, Jeff Borysiewicz, Randy Silverman, and Terry Gallagher who offered retailers of all backgrounds–from smoke shops to tobacconists and vape shop owners–different paths they could take to find success in today’s retail space. Manufacturers made up the panel of the “Pathways to Growth” session which covered a spread of topics from leveraging social media to build a customer base to how to remain competitive and innovative despite FDA regulations limiting many businesses. On day 2 of the show, Tom Briant, Executive Director of the National Association of Tobacco Outlets (NATO) covered a wide range of topics including the upcoming compliance deadlines, the ordinances that retailers should be aware of, the FDA’s ban on tobacco and vapor samples and how retailer across the U.S. can get more involved on a local and federal level. On the show floor, an all-star panel of lawyers and compliance experts including the International Premium Cigar & Pipe Retailers Association’s Craig Cass and Daniel Trope and Kretek International’s Hoo Tjhiang Han and Noah Steinsapir tackled the tricky legislative landscape and addressed the latest lawsuits being waged by the tobacco and vape industries against the FDA. This topic continued but turned to the topic of vapor with “Vapor: A Survivor’s Game” and panelists that included Brittani Cushman and EAS’ Jacopo D’Allesandris who discussed the latest studies surrounding harm reduction and various devices and the FDA’s latest moves to reduce nicotine and the use of combustible cigarette products. 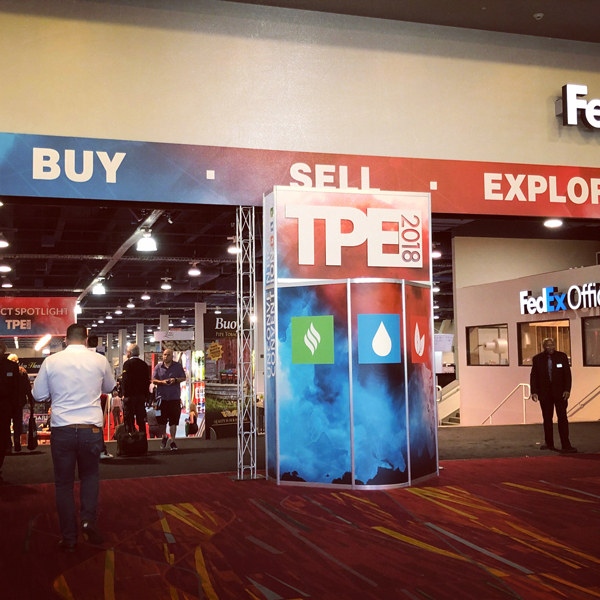 A part of TPE that got more focus this year was on the fact that it is not only a buying show but one of the earliest buying shows of the year for many in the tobacco space in particular. This year’s show floor sold out earlier, causing the exhibit space to have to be expanded to accommodate all of the interested companies. Those companies that came not only brought with them some of the most popular premium cigar, pipe tobacco, vapor, and alternative products but also brought exclusive deals that were available only to those who attended the show. Hoping to offer attendees more bang for their buck, this year’s TPE show featured a new Product Spotlight area at the front of the exhibit hall made to look like a storefront. Attendees were treated to a view of some of the most popular, profitable products they could buy on the show floor were able to walk away with a deals booklet packed with deals and offers from many of the show’s exhibitors, amounting to over $3,800 in savings, which far exceeded the cost of attending the show this year. In addition to a busy vapor and alternative section packed with new exhibitors and products was an expanded presence of premium cigar manufacturers with larger booths this year including Davidoff of Geneva, Altadis U.S.A., Drew Estate, Royal Agio Cigars U.S.A., Nat Sherman and Miami Cigar Co., to name just a few. Anchoring each half of the show was a busy and fun lounge area, one sponsored by premium cigar manufacturer Drew Estate featuring its ACID cigar container and DJ and the other sponsored by Isodiol featuring a slackline-themed lounge area. Jason Wood, Vice President of Miami Cigar & Co. This year’s show brought together many of the industry’s big figures and decision makers, bringing to the show a sense of business and importance. Several large stories broke during the show–the Scandinavian Tobacco Group acquisition of Thompson Cigar and the Quality Importer acquisition of Xikar–with people involved in both stories present and speaking about each news stories to media and other attendees. In addition, there was a greater sense of “who’s who” at play on the show floor, with big figures across all of the product categories seen on the show floor, some taking in the show for the first time while others casually observed and took in the educational sessions or exhibits with curiosity and interest. 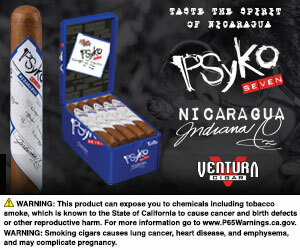 Other companies used TPE as a platform to launch new products, like Royal Agio Cigars U.S.A. with its Panter Premium Filter Cigarillo or Oliva Cigar Co. teasing the upcoming release of a new website set to go live days after the show. Tobacco Plus Expo 2019 will be held Feb. 12-13, 2019. For more in-depth coverage of this year’s TPE Show including Jonathan Drew’s keynote speech and individual educational sessions, click here.